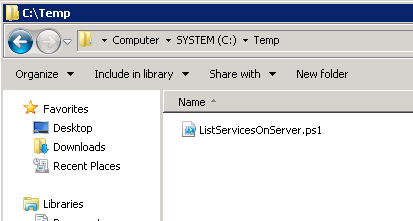 Manage Services on Server shows which SharePoint service is running on a particular server. You can only select 1 server and you won’t get a quick overview of all the services per server. I have created the below script to create a .html file which shows each server and their active or inactive service. The following script can be copied into notepad and saved as a .ps1 file. Just execute the script to create a .HTML file. When you run the script, it will ask for an export location. This folder does not have to exist on your harddrive. 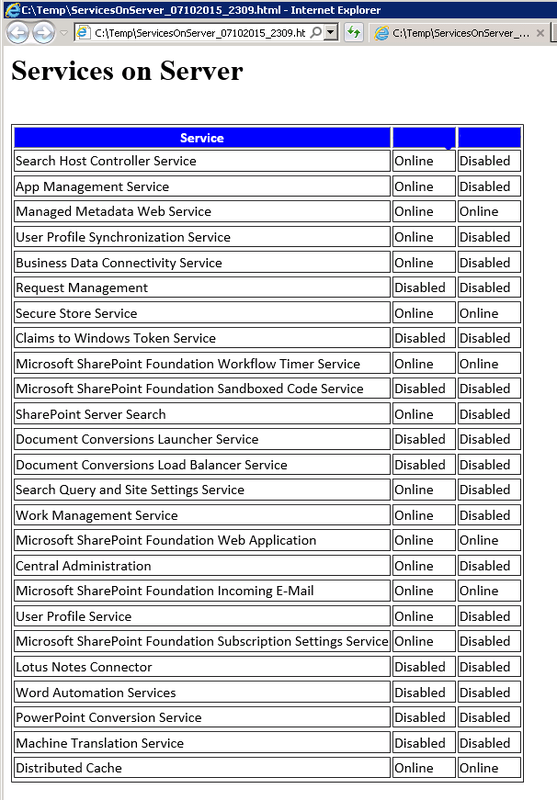 This has been created and tested for SharePoint 2013 and haven’t tested this yet for SharePoint 2010. $ExportLocation = Read-Host "Enter the location to store the HTML file. (eg. C:\temp). This directory will be created if it doesn't exist"
The script will retrieve the services at the moment that the script ran. If you schedule this for every 10 minutes you will have the status each 10 minutes, you won’t be able to know when the service has been changed exactly but somewhere in those 10 minutes.